The best spotting scope tripod for you is out there. But it’s difficult to wade through the number of choices that are available. We’ve handpicked eight different products that are considered the best available. One of these might be your next addition. But there are always a couple of factors and even some personal preferences you may have that can influence a decision. 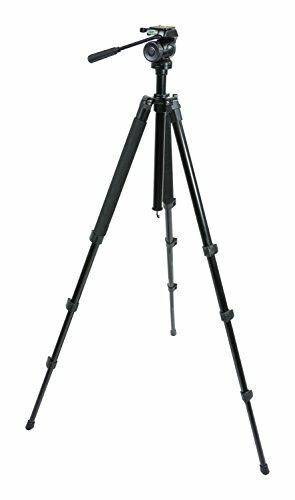 Do I Need A Tripod For My Spotting Scope? Cutting to the chase: yes. And there are a few good reasons why you do need one. When you’re out and about, you’ll need the scope to remain stable while you’re looking through it. This especially goes for when you’re out hunting. Scope stability is the difference between making a target in one second and losing it the next. One major advantage of having a tripod is providing stability for the scope while you're either hunting, taking pictures, or just exploring the outdoors. Some scopes are lightweight, while others are considered "heavy" and weigh around ten pounds. Another advantage is you can quickly deploy your scope while you're moving from one place to the next. You can simply attach the scope and carry it around without in your hand. ​Not all scopes are designed to be all-purpose. Some of them are the best fit for a certain use. 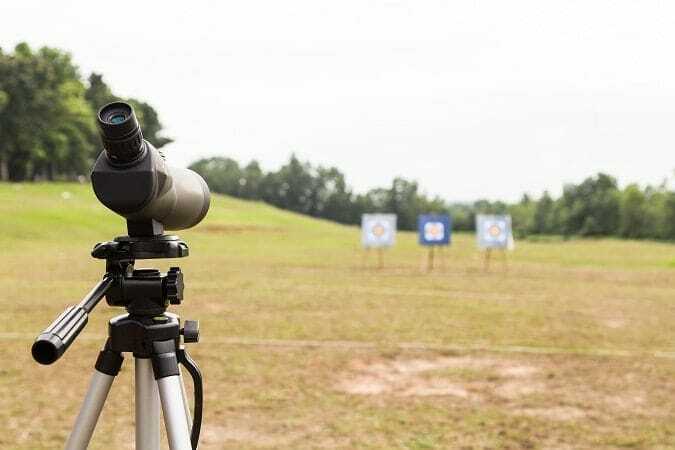 For example, one spotting scope would be perfect for hunters because it is lightweight and easy to deploy so hunters won't miss their next opportunity at bagging another deer or whatever they are hunting. ​Today, there are products on the market that are completely versatile in their use. Some users have hunting benches and have relied on tabletop models. Others use standing models. If you want the best of both worlds, it's important to find a stand that not only can extend itself to a certain height, but also one that you can adjust low enough for the feeling of a tabletop scope. 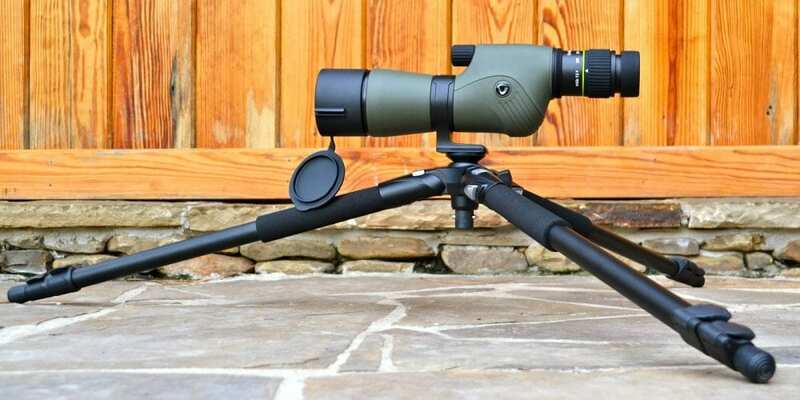 ​One of the chief advantages of a spotting scope tripod is stability. The materials used often play huge roles in long-term stability and durability. At the same time, it's not just the legs that play a role. The feet may come with something like rubber to ensure that the scope is on stable ground and can hold it for as long as it's attached. ​No one wants a tripod that is difficult to use. You want the scope to move easily, swivel around, and so on. Some stands will likely be equipped with a hydraulic system that will make the user experience much easier. ​Some products come with additional accessories. Some don’t. In other words, will you only get the legs? Or will you get any additional accessories like a head? The easiest thing to do is get one that may come with the additional accessories. While it may cost a bit more, it is worth the value and extra expense. Below are eight of the best spotting scope tripods on the market right now. It is imperative that you look through each of them carefully to see if one of them is the right fit for you. If you’re interested in more than one, sometimes it’s better to play a game of “process of elimination” based on which feature you want the most. 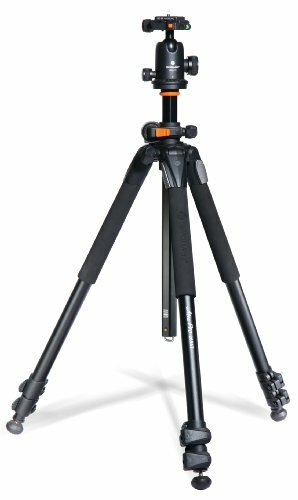 Our first tripod up for review is the AmazonBasics 60-inch lightweight offering. This is one of the more affordable products on the market. This weighs 3.3 pounds, making it lightweight and easy to carry around. It has the ability to extend up to 60 inches. However, if you prefer sitting down or have a hunting bench, you can lower it down to about 24 inches. Either way, you get some pretty good versatility with a stand like this. This also comes with two built-in bubble view levels and a three-way head that you can use for easy movement and swiveling. If you’re on the go, the quick-release feature will definitely come in handy. Just attach, detach, and reattach in a matter of seconds. 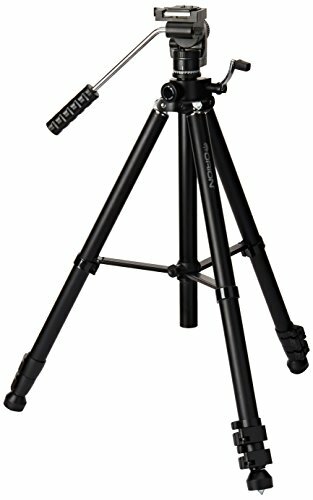 If you happen to be on a budget or just need a something of a starter tripod, the AmazonBasics may be the product for you. Considering that this is the best overall, it is also one of the best products to start out with for your scope. For its price, it does a good job. If you're looking for an item that is versatile, affordable, and is great for most purposes, the AmazonBasics might be the right choice for you. May Be Heavy for Other Purposes Like Backpacking. The Vortex Brand has always been known for producing high-quality scopes. But does it also go as far as their accessories? The short answer: yes. This tripod, in particular, can handle your heavy scopes. That's because it has a maximum load capacity of ten pounds. This is also a versatile scope that you can adjust to a sitting or standing position. It can extend to about 67 inches and go as low as 24 inches. This is excellent for most purposes. Hunters would benefit best from an item like this. If you need a tripod for your scope that can even handle windy conditions, the Vortex is a great choice for that. The balance hook is used to hold it in place, even when nature decides to unleash a good old-fashioned wind gust. The Vortex is as tough and durable as it can get. If you want a spotting scope tripod that will last you a good while, then the Vortex might be your best option. Of course, Vortex once again proves itself to be one of the top-dog brands in all things scopes. Their scopes are insanely durable and apparently, so are their accessories. If you want a product that can withstand any conditions and be able to still stand on windy days, the Vortex will be your best hunting buddy. 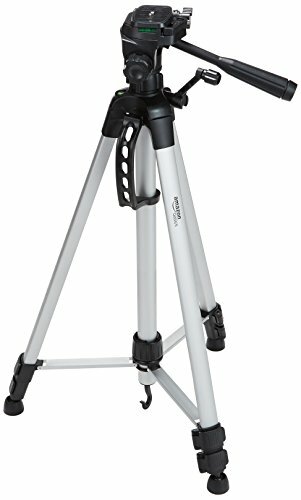 Next up is a tried and true tabletop tripod for spotting scopes. The Vanguard VS-82 is a lightweight offering that weighs just under a pound. Because of this, it is easy to carry around. The Vanguard stands at about 9.8 inches, so it won't wobble on you like what some standing tripods would do. The legs fully extend and are further secured by non-slip feet. The two-way pan head gives you 360 degrees of movement, so your scope has the freedom to move in one direction or another. Maybe even in a complete circle. With the features that it has, the Vanguard is one of the more reliable tabletop models on the market. The maximum load is 5.5 pounds, which means you can load a good scope on here without having it fall in your lap. The Vanguard may be your tripod of choice if you just want one that is solely a table top. It is, for the most part, durable, and has a pretty good max load for its type. The 360-degree panning is pretty good, which can explain why there is no quick release plate that you would otherwise find on some of the other stands. However, if you want a good tabletop product and don't want one that extends to a standing height, get the Vanguard. Bushnell has long been a reliable brand for scopes. The reliability is pretty much the same with their accessories. The Bushnell 784030 is very durable and one of the most stable standing scope tripods on the market. Mind you, it is not a lightweight product. But it’s a pretty good explanation as to why it has the ability to stay in place once you place it. Plus, it’s going to last you a pretty long while. It can extend up to 61 inches and be brought down to about 18 inches. 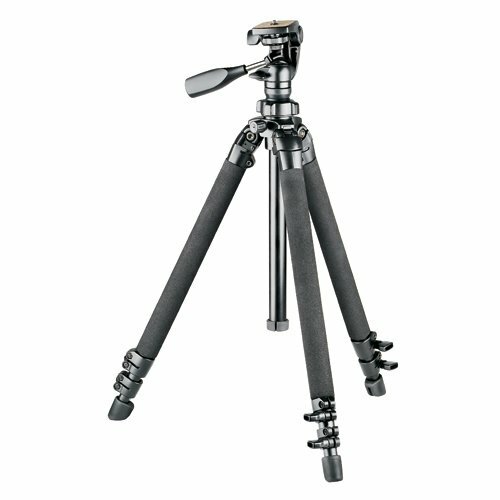 So whether it’s for a hunting bench or if you just want to stand the whole time, you have the versatility in this tripod. If you’re on a budget, this stand may be affordable if you have some breathing room. If you care more about quality and are also willing to spend a little extra, then the Bushnell may be your best choice. It will last you quite a long time so long as you use it properly. And since this is quite a durable product that can last you a long time, Bushnell stands by this with its lifetime warranty. So, should anything happen to it, you’ll get a replacement with no problems at all. It’s one of the many reasons why Bushnell is considered one of the better brands for their scopes and accessories. The Bushnell has proven itself to be one of a handful of brands that can be relied on. No, it may not be the most lightweight, but there’s always a good reason why. Sometimes, the not so good things come with the territory of good things. However, if you want a product that is designed to last for a long time and on a budget with a little bit of breathing room, the Bushnell tripod can be your best choice. Once again, we go back to the Vanguard for a look at the best tripod for birding. The Vanguard Alta has a multi-angle central column (MACC) that will give you the ability to shift the central column from zero to 180 degrees in different angles, whether horizontal or vertical. You can also set the leg angles to 25, 50, and 80-degree angles. At a folded height, it stands at 28 inches while it can fully extend to 68 inches. 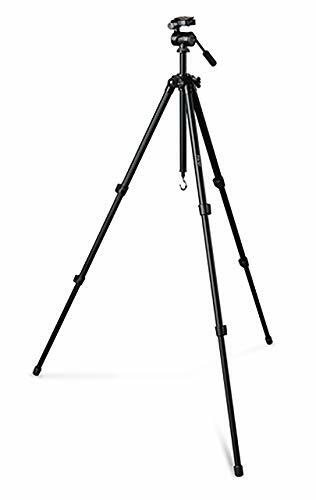 It does have the ability to be a good tabletop tripod like the Vanguard we've reviewed beforehand, however, it also can extend for those who want to get an even better view standing up. The loading capacity of the Vanguard is an impressive 15.4 pounds. This means that it has the ability to withstand some heavy duty scopes. The Vanguard does a good job as a spotting scope tripod for birding, as it is lightweight, but strong. And the folding and extending lengths are pretty good for this type of product. If you want a good birding scope, the Vanguard may be the best option for you. The Celestron is a light, portable tripod for your spotting scope that is perfect for most scopes below seven pounds. This is the perfect option if you’re outdoors or hiking. That’s because it is equipped with simple lever leg locks and the legs themselves can handle any terrain. The foam padding is perfect for easy carrying from one point to the next. Best of all, portability is a breeze with the equipped shoulder strap. The center column allows it to be raised up to approximately 71 inches and it can be folded down to around 19 inches. 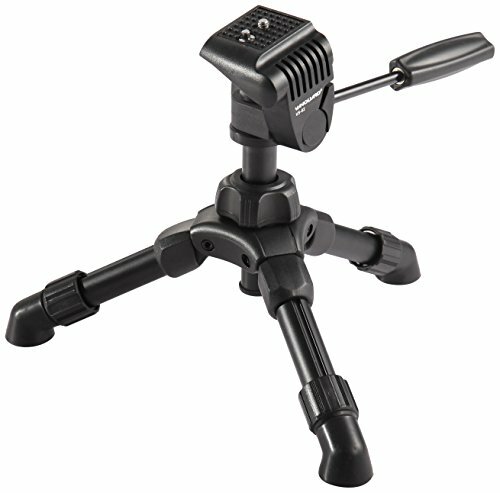 So you get a tripod that is good for sitting and standing. If you want a good standing scope for hiking trips, the Celestron may be a great choice for you. 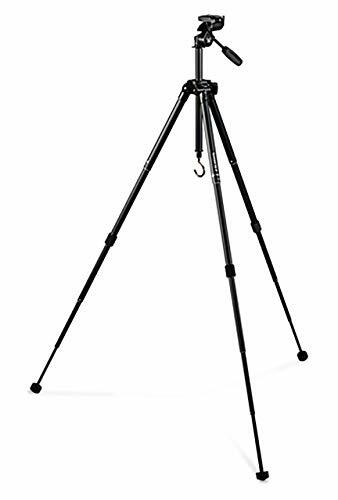 If you’re a hiker that loves to do some long-distance exploring with a spotting scope, you can never go wrong with a tripod like this. Given the fact that it is lightweight, it is not a surprise that it won’t handle heavy scopes. Besides, you don’t need a lot of weight to lug around while hiking, do you? That being said, the Celestron is a great one to have if you want to make your hike or nature walk a more enjoyable one. For the best in heavy-duty tripods, we look to the Orion Paragon. This item weighs about 7.5 pounds and is fully extendable up to 72 inches. For a quick and easy setup, the Orion comes equipped with aluminum-tubed legs that have lever locks and spiked feet to keep it in place. For quick attachment and detachment, it comes with a quick release plate that you can use without having any extra tools handy. The Orion Paragon is good to have if you know that you’re going to be treading on some rough grounds. The spiked feet are quite helpful when you want to plant it into the ground so it stays stable. It will have no problem holding heavy scopes. It’s even better for taller individuals that want to look through the scope without ever having to hunch over. For our last scope, we will finish it off with the Vortex. At this point, you already know that this brand is a very trustworthy one. And it’s for all the right reasons. If you want a product that will stand still in windy conditions, this will be your best option. That’s because it’s equipped with a balance hook that helps the tripod stay centered and in place. When out target practicing, you may already be having wind issues to begin with (affecting he direction of your shot). Considering the fact that it is lightweight, it is surprisingly strong and durable. Also included is a carrying case for easy transportation, a quick-release plate so you can quickly attach and detach, and a three-way pan head for maximum swiveling and movement. Like with all Vortex products, it’s backed by a lifetime warranty. And that should come as no surprise since most of their products are built to last. If you want a tripod that can withstand the wind and the rough terrain, the Vortex Summit could be the best tripod option for you. Finding the right spotting scope tripod doesn’t have to be hard. Before making a decision, you should consider the factors mentioned in this article, plus some of your personal preferences. You can have a lot of fun using your scope when you find the right product that fits you and your scope perfectly.